In honor of Coach Noll, I’ve decided to post a story from The Game before the Money that Rocky Bleier shared. Rocky started considering retirement after Super Bowl 14. He decided to he would play one more year. Rocky did wait to tell Noll, Although the season ended as a disappointing one for the Steelers, for Bleier it gave him a full year to say “Farewell” to the game he loved so much. 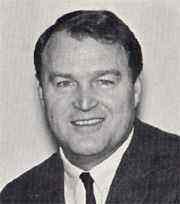 Noll coached another decade, through the 1991 season. Unfortunately, the Steelers only won 10 games once under Noll after their 12-4 championship season in 1979. Rocky scoring a go-ahead touchdown in Super Bowl 13, just before halftime.